Main Dealer Servicing or Not? Do you choose Main Dealer or Independent Servicing for your car? After some advice and some previous experience if possible. So I was dead set on getting the dealer to do my annual servicing and just have a 5k oil change in-between at my specialist. I wanted Audi to do it so I could retain the FASH and ensure that any warranty got through smoothly, not that problems which the car currently has are being dealt with anyway. The annoying thing is I know my specialist will do a better job and I can let them go and drive the car without walking around on pins. I have been going back and forth with Audi for a week now, they want £311 for the oil change with parts and oil. I wanted to supply my own Millers Racing Oil which is better quality and saves money (has the correct Audi 504.00 spec on the jack). The price has been reduced to £190, but I also have to supply the oil filter and sump plug as well as sign a disclaimer that if any failure occurs from the parts I supply, I accept liability Which sounds like I'm waving goodbye to my warranty does it not? Might as well stop and get Stage 1 on the way home if I sign any disclaimer. I've tried the price match game, there are so many holes in the system it will just never work and it's another layer of trickery by Audi. If I go down the route of independent servicing, has anybody had problems with warranty claims after this? I know they say if you use genuine parts it is valid, but if I am having to sign a disclaimer for parts off of their shelves when I supply them what the hell will be the attitude to somebody else fitting them?! Like oil changes on the S Tronic box, if I have that done externally chances are Audi will be very unlikely to pay out in my mind. I've actually been told that the RS3 labour rate is considerably higher than the S3, this is disgusting for Audi as a whole. Am I getting a better graded technician to work on the car?.. no i'm not. I am really struggling on this on what to do, so I've had to come to the forum for some advice / experience. On a more positive note the dealer has agreed at the same time to replace some trims that have badly tarnished and aren't covered by warranty as a gesture of goodwill (which is fantastic), the difference in cost between both service providers will cover the cost of the trims so I'm not getting anything for free as far as my wallet is concerned. I thought I'd be playing it safe by going to the dealer for servicing but if I'm signing away my warranty for buying my own parts from their parts counter is it really safe at all? PS: I would like to stress that at no point in time have I singled out this post to a single Audi dealer, it is the whole system I have a problem with like the majority of us. thats the risk you've got to take, i have never got my car serviced by Audi as iv done all sorts of work to mine so the warranty would be void anyway. It’s not a very comfortable situation with so much money on the line if it goes wrong, as most will tell you on here it always goes wrong for me. What makes you think getting it serviced at Audi is going to get you a better response when it comes to a warranty issue anyway ? I know I’ve had a lot of bad experience with dealers from being denied car purchases, told to go back with an adult, ignored, pulled in and flagged up for my involvement on here. Just trying to make the rest of the ownership as smooth as possible. 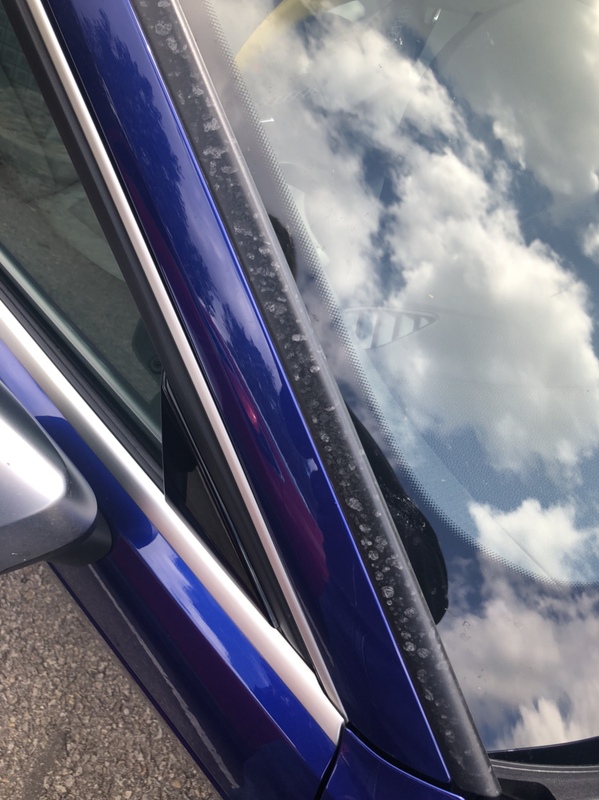 I just know the system now, if it went wrong and I had to go to Audi UK they would say that had I used their highly skilled technicians there would have been no questions about what has been done and when. I’ve spoken to the supplying dealer and they don’t let people use their own oil anymore, so I think that is what my disclaimer is for but it is 504.00 spec so they shouldn’t have a leg to stand on. Oh no! I will head over there for a read now. I have same dilemma with the 4 + the S3 is now out of warranty so need to think about that too. Audi have said to me a few times that FASH is more likely to lead to goodwill gestures from them out of warranty ... who knows though! If genuine parts are used and the schedule is stuck too, the warranty cannot be void by law, their attempt with this 'disclaimer' is more a scare tactic in my opinion, if the part is 100% genuine, it will not hold up. The only potential issue you have with going elsewhere is the value of the car being slightly affected, but I assume this would be outweighed by the cost savings over the term anyway! It also seems from this forum at least, people are wising up to the incompetence of dealers, and prefer one looked after by a more attentive independent, I certainly do anyway! Just my 2p's worth, but I will NOT be using Audi service for anything with my car bar warranty issues. I will be using a specialist. I had posted previously that Audi wanted £340 odd I think it was for my sisters A1 oil change!!!! This was the final straw for me. Way too much to read on that first post but isn't this exactly what @terminator x asked the other week? And it’s not even a Friday / Saturday night post so no alcohol to blame eh ? I’m definitely swinging more towards the independent option now, would just have to ask Audi each time to order everything they use on each service no matter how big or small. Got until Monday to decide as they want to know now if I’m cancelling my booking or not. My bad, only recalled this just now and I contributed too.. ffs. This decision has been frying my brain the last 2 days. Oh, don't tell me you're tea total? We’ve had 2 x annual oil + filter change, 1 x spark plugs, 1 x brake fluid done so far by my trusted local indy on our PFL RS3. I have to say since we changed to the Millers CFS 5w40 NT+ oil, it’s not used a single drop at all! I bought a 1L bottle for top up purposes but not had to use it yet. As far as I’m concerned I risk having more issues if it was letting Audi do the servicing so rather let my Indy do it. sve170, D0C and terminator x like this. I would never sign that kind of warranty disclaimer to be honest. Life is too short to mess about, take it to an Audi dealer, pay the money and keep the FASH and warranty goodwill. Keep doing your 5k oil changes and enjoy life and the car. I am more than capable of changing oil but I will be having the official service done by Audi just because it is not actually my car until the pcp is paid off. I am indeed, never touched it. That’s very useful, thanks for your input and it will play a bit part in my decision! I’m on Millers Nanodrive 5W-30 and after 5k it hasn’t touched a drop, the engine runs 5 degrees cooler too. Good indy’s can record the service on the VAG network anyway apparently. That’s very good they didn’t ask for proof of service, very trusting. Because I want to supply my own oil, despite it having the correct 504.00 spec on the front, they want me to sign to agree if any failures are caused by the oil provided then I will be liable. If I go down the independe route, no need to sign any disclaimer and if I ever have a warranty claim just proof required that it’s 504.00 oil. So by going to a dealer I’m as good as drawing curtains on my warranty, madness. I’m all for the idea of warranty goodwill but I’m in warranty and they don’t want to know about my Haldex issue! Sounds to me the disclaimer is because you want them to use an oil they are not providing not for them actually doing the service. Its a bit petty but they are entitled to operate that way if they wish. Yes correct, every dealer seems to use their own preference of oil and providing it meets the Audi spec it doesn’t matter. The one I’ve got meets the Audi spec, shouldn’t matter. The Millers CFS 5w40 oil I use is not to the VW/Audi spec officially, but far exceeds the industry standard ACEA A3/B4 which the normal VW/Audi spec meets on 5w30 oil. It’s a gamble but they’ll have to prove that the oil was a cause of any major issue to reject warranty claim. If they see the car has been looked after and maintained per schedule then I don’t see any problems using an Indy. If the car isn’t being tuned or modified then why go to the bother of using different oil other than that spec’d by the manufacturer of the car? What’s the point of the hassle or the benefit (other than the placebo effect)? For me - standard new car in warranty goes to the dealer for everything. All servicing as per the manufacturer schedule. If it’s a tuned car then it goes to a good Indy that does tuning and gets serviced to suit the level of tune/mods on the car. If it’s an older car then it goes to a good Indy for everything and gets its last major service before selling it at the dealer unless I’m trading it in. Unless your car is being tracked regularly I don’t see the point of earlier oil changes or using different spec oils. The people at Audi Sport know much more than you or I about the servicing needs of your car so I’m inclined to follow their advice. Especially since almost all manufacturers err on the side of caution to reduce potential liability. Of course the guys at Audi Sport know more than you or I.
I mean what’s wrong with the standard discs and pads as supplied on the car eh? What’s wrong with the low speed squeal they’ve designed and engineered in on a £50k car?? Perfectly ok - if you just park it up, don’t drive it and just gawp at it yeah. sve170, penetrator, AudiNutta and 1 other person like this. Specialist wins it for me every time from the last 8 years of RS cars. They are cheaper and use same or better parts, oil, etc. Depending on their reputation they rely more somin my opinion on repeat business and do GAF. I use Audi Technic in Glasgow and their service is second to none and they are ex-Audi master techs at half the price...almost! NOW...an RS3 8V. Mythos, black pack, roof rails, Audi connect plus, privacy, SSS, folding mirrors, upgraded sounds.....and a few early mods! TRADED...Phantom Black RS3 8P with Buckets, folding auto dim mirrors, privacy glass, Bose, Alu inlays, light & rain sensor pack, black exhaust tips and now Scorpion decat pipes and MPSS rubber! GONE - S3 SB BE - '10 plate in Ibis with Buckets; RNS-E; tech & comfort pack; Revo stage 1; Milltek TBE; BBS CK 19's in Anthracite on Asseymetric rubber! It isn't a placebo effect, as I've said previously the engine runs 5 degrees cooler whether you're foot to the floor or cruising on the motorway. That was plainly obvious from day 1. Providing I don't change to anything more affordable which I don't plan to for when I move out in 4 years (end of PCP), the lump sump will be paid the car will stay. If I keep the car for 6/7 years and I do 13,000 miles a year.. that's 90,000 miles so I plan to over service the hell out of it to ensure it runs well for a long time. As above, I don't doubt the Audi Sport engineers know far more than any of us on the forum but they have been a bunch of plumbs in a few areas. I appreciate your opinion though. chungster and Marshy like this. Anyway it’s the day before I decide and I’m no closer to it. I’m going to speak to Audi tomorrow and try to get out of this disclaimer for supplying my own oil, if it has 504.00 on the jack it shouldn’t be an issue. By signing that disclaimer I’m giving Audi an open opportunity to blame any engine failure on my oil and offloading all respobsility onto me. If I can get away without signing that disclaimer, I will probably send it to Audi this time until I am totally decided on the independent being a good idea all around. However if they don’t let me get away with signing, I’m faced with 2 choices. 1) Take the car to Audi with an oil that meets Audi Spec, have to sign a disclaimer that allows them to blame any engine failure on me if they can connect it to the oil and invalidate my warranty. 2) Take it to an independent, sign no disclaimer and if it went pop show Audi I used 504.00 grade oil and that’s that, warranty valid. I really don't think you'll have an issue using your own oil. Imagine if your engine goes bang and Audi refuse warranty work on the basis they didn't supply the oil. You take them to court and they'll get laughed out of it. Personally I'll be getting my services done at Audi. While I 100% agree that a quality independent will do a better job, when coming to sell the car (which can be difficult enough as it is) there are more likely to be the odd few potential buyers who frown upon it not having main dealer service history, than those who will applaud the fact it has an independent one. And that's without factoring in potential goodwill from Audi/your main dealer, which I have been a beneficiary of in the past with an old car that was out of warranty but which the manufacturer honoured work on the basis it had been serviced regularly by them. I’m going to make a call tomorrow morning and see what they say. What you’ve said is right though, if the engine threw a rod for a worst case example and Audi did end up in court claiming a different brand of the correct 504.00 spec oil was the cause of the failure they shouldn’t have a leg to stand on. Every dealer uses their own oil, whether it’s Mobil, Castrol, Shell, Quantum... it’s all preferable, I’ve just chosen Millers. If only they agreed to look past VCDS for my Haldex fault! If you are changing oil at 5K miles at an independent, WHY do Audi even need to know about it? Keep your mouth shut, say nothing, you are happy it has some fancy expensive oil in it that meets/exceeds the correct spec.... end of. No need to discuss warranty at all, sign disclaimers etc because nobody is any the wiser. If something happens to the car and you take it to Audi for possible warranty fix, they look at the car and guess what? It has oil in it and at the right level on the dipstick.....and their records show it's not overdue for a service so that's not an issue. Technicians then moves on to the next possible fault check. This really is a case of 'kicking the sleeping dog to discover it will bite you'. The disclaimer for the oil has only come about because I’ve asked Audi to service it with the Millers oil. If I use their oil, there will be no disclaimer. There is no issue with me using the oil if an independent changes it and no disclaimer / notification of oil used to Audi. What the dealer had said is if I am the one supplying the oil to Audi they want me to sign to agree that the parts I supply... I take responsibility for if they cause failure. Which is why you should say nothing to Audi, go and buy a genuine Audi oil filter and the associated bits and pieces for a filter change (washers, sump bolt or whatever) take the car to a reputable independent , hand them your oil and get the job done. Save yourself the worry and some money too. Audi are not expecting to see the car for servicing until the scheduled mileage as recommended by their computer system. Everyone is happy. Whose to say you havnt bought oil from China because it’s a fiver cheaper, some people are like this even on an expensive car. TYb and Dan_DJT like this. I’ve already had my 5k oil change, this service is the 10k which is when Audi expect to see the car when it is on fixed intervals. My plan was to have the ‘regular’ services at Audi, 10k, 20k and so on but have a change at 5k inbetween with an independent. I bought all the bits from Audi Parts as required, so I’ve got an audi stamped invoice to back myself up. The dilemma now is whether I should give it to Audi at all for the scheduled servicing, wouldn’t be so bad if I didn’t have to sign that disclaimer for wanting to use my own preference of oil. It’s not just the workmanship guarantee I’m forfeiting, it’s potentially the full warranty which is where the whole thing gets a little ridiculous, because it clearly meets / exceeds their guidelines. I’m faced with 2 choices. Your 3rd choice is have Audi do it using their oil choice. They will also use a 504/507 spec oil so nothing to be concerned about. You mention the 5degC temp drop, I have seen the same using my choice of 507 spec oil so its not just a Millers thing. Looks to me that the first fill oil has specific properties that assist engine break in. Ive run engines on dynos with similar oil and seen similar results. If you are changing oil every 5k (good idea in my experience) why not have Audi swich it to extended service interval ?? That way you wont have to take it to them/have this dilema every 10k ? Could you not do the oil change yourself in between the Audi ones?